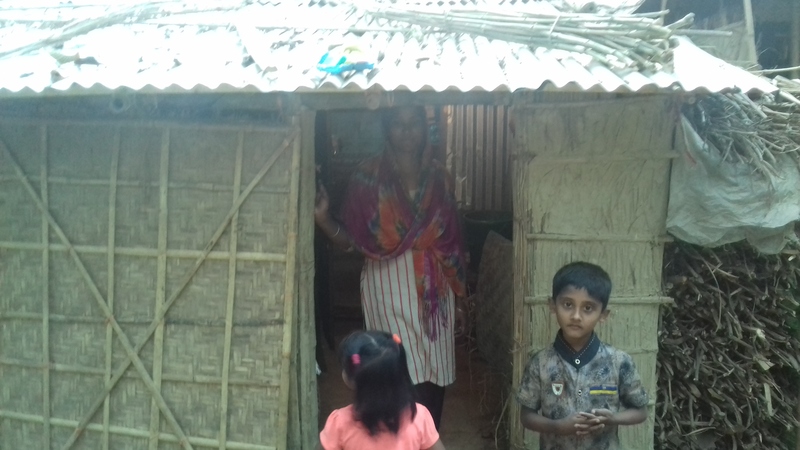 On 27th January, I visited Arman and Ashnara's village house. In my previous post, I shared about my journey outside the city. The purpose of the visit was to meet Ashnara who is living in her village right now with her family. 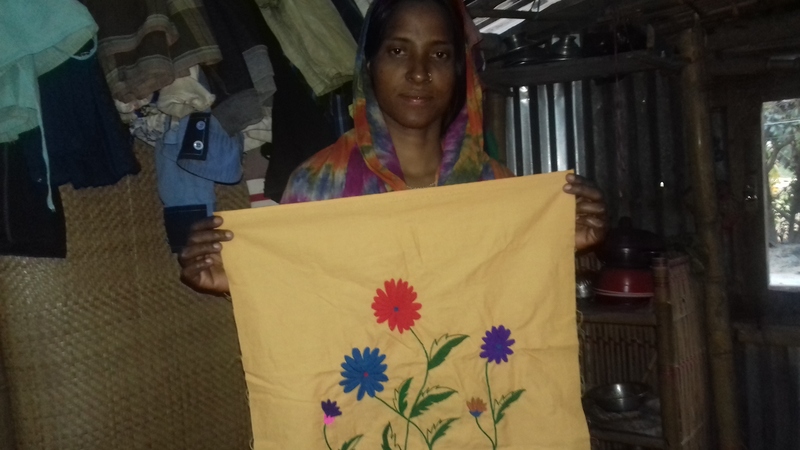 Ashnara was the trainee of @WomenEmpowerment for more than a year and she was working on the order made by @r2cornell. As her work experience was good, so I had to give to order to her. Also, she was asking for work and I was happy to give it. Her husband received me in their village. Their small hut reminded my childhood. 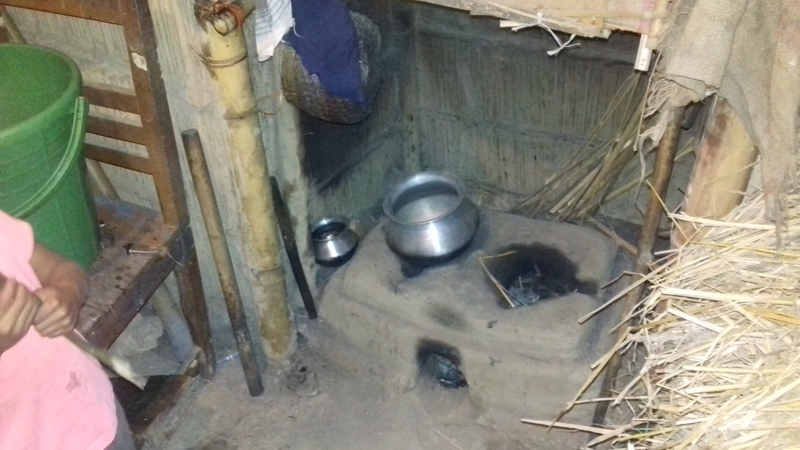 Most of the villagers have their land to grow crops but they only have a home for living. I guess these things forced them to go city. Arman in the right side and his mother Ashnara. Arman was students of @SchoolForSDG4 for 2 years. He now got admission at school in their village. Not sure what is his father doing right now but he was a day labourer in the city. A lot of we are not satisfied with our situation. I was not sure if I should take the picture of their kitchen. It looked like the money I paid for her work will help them to find some food for a few days. We had a similar kitchen about a decade ago and now city life forced us to get a gas stove. They were happy to see me in their house. Ashnara worked on 6 pillowcases for @R2cornell and I am working to deliver the products to the USA by the end of February. I am too late to make it happen. When I was leaving their home, Azad Mia ( father of Arman) asked me to support them when possible. What should be my answer? I know what I said. I just asked him to pray for me. And also shared some my personal plan and if I get success with them, perhaps I will have a chance to support them. I guess they are not coming back to the city but I will keep them in my contacts. But actually, I wish to see them working which will make my effort and help more meaningful. Also, I know how much supporters want to see the success of @womenempowerment and I really regret because of the slow movement of the project. @Pennsif was asking last night what I am thinking about the project. I was thinking to get a shop with @dstors. But it looks like this is not possible so early as they got some problem with their partners. I will wait and also I will make sure to set up wordpress for it next month in https://www.womenempowermentbd.com.